When was the last time you took a retail marketing cue from a car manufacturer? I can hear you thinking, “uhhh… never?” Well, maybe now is the time. You were admiring your co-workers new bag last week, and she emailed you the site where she bought it, and tells you how happy she’s been with her purchase. Turns out, it’s from a new brand you’ve never heard of. So, you browse their site and make a purchase. A few days later, your bag arrives, and you’re thrilled. You swing it over your shoulder, check yourself out in the mirror, and go meet your friend for coffee. She might admire your new bag, too, and you may share your excitement with her. “I’m just loving this new bag. This brand just has incredible stuff, you should really check it out”. And now, for most of the world, the sharing doesn’t stop there. We’re also texting our five closest contacts in our cell phones, emailing ten colleagues at work, and sharing a post with our 800 Facebook friends; “I’m loving this new bag. This brand has incredible stuff, you should check it out”. And when enough of our friends find that piece of information valuable, experience it for themselves, and share the great news within their own networks? Well, then, the word of mouth phenomenon has begun. Humans have always had their sharing voice, but now that voice is more amplified than ever. And for marketers, this has presented an opportunity to reach more high value customers at scale. The learning curve on how to best scale and control word of mouth has been elusive for even the world’s best marketers. In fact, 64% of marketing executives indicated that they believe word of mouth is the most effective form of marketing. However, only 6% say they have mastered it. The technology that has made the customer’s voice so powerful (email, social, messaging, and SMS text), is the same technology that has made it so difficult for marketers to create and control. But more brands are figuring it out. A few years ago, the list of marketers who had mastered word of mouth may have only consisted of the Apple’s, Uber’s, and AirBnb’s of the world. Now that list includes the world’s top retailers, led by Amazon, and including Gillette, Rebecca Minkoff, Indochino, and American Giant. And they’re all doing it in the same way: with referrals. Back to the car manufacturer. Like almost every retailer, with Amazon being a notable exception, Tesla’s ideal customer is very specific. It’s the same consumer targeted by luxury retailers. It’s a consumer not motivated by price. 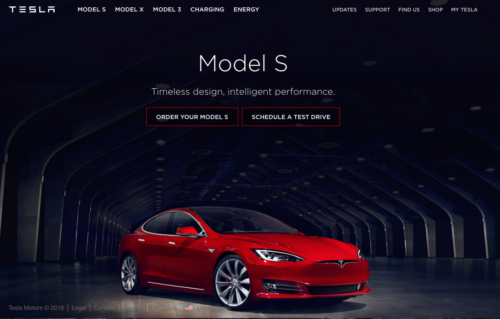 It’s someone that wants to own the highest quality premium brands.Tesla’s competitive advantage in reaching their ideal target is their existing customers. They created a movement with word of mouth (and little bit of Elon Musk) at the center. Their word-of-mouth success was no behind-the-scenes accident. 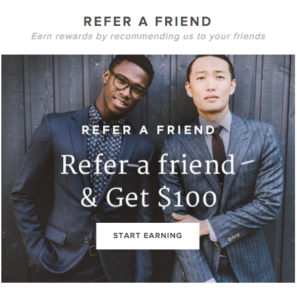 From fashion brands to footwear, from sporting goods to essentials, retailers of all kinds are creating their referral programs, too. And their customers are responding. It’s not about discounts, it’s about letting your customers personally share your brand with their friends and family. It’s about identity. It’s about community. And it’s about creating a scalable and optimizable acquisition channel.